There has been little research in inequalities in risk of cardiovascular disease incidence by social class in Asia. The purpose of this study was to examine the association between socioeconomic indicators and risk of stroke and coronary heart disease in Japan. 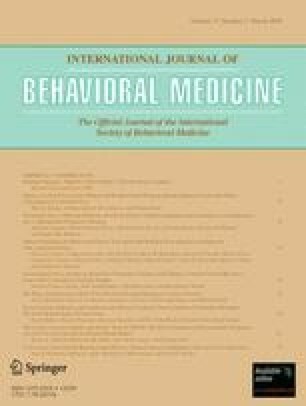 Data from the Jichi Medical School Study, a population-based prospective cohort study of approximately 11,000 Japanese men and women, were used. The average follow-up period was 11.7 years. Age- and area-adjusted hazard ratios with 95% confidence intervals (CIs) for education level/occupation were calculated using Cox proportional hazard regression analysis. Compared to those who completed education at age 14 or younger, the age and area-adjusted hazard ratios of intraparenchymal hemorrhage incidence for men who completed education at age 15–17 and at age 18 or older were 0.42 (95% CI, 0.21–0.84) and 0.34 (95% CI, 0.14–0.84), respectively. The age- and area-adjusted hazard ratios of intraparenchymal hemorrhage and subarachnoid hemorrhage incidence for female white-collar workers compared to female blue-collar workers were 0.28 (95% CI, 0.08–0.98) and 3.23 (95% CI, 1.29, 8.01), respectively. No associations were found between education level and risk of coronary heart disease among both men and women. These results suggest the pattern of social inequalities in health in Japan might be different from that in Western countries. Study group members are listed in Appendix at the end of this article. This study was partly supported by a grant-in-aid from the Foundation for the Development of the Community, Tochigi, Japan, and by a Grant-in-Aid for Scientific Research (C). The Jichi Medical School Cohort Study Group: Akizumi Tsutsumi (Occupational Health Training Center, University of Occupational and Environmental Health, Fukuoka), Atsushi Hashimoto (Aichi Prefectural Aichi Hospital, Aichi), Eiji Kajii (Department of Community and Family Medicine, Jichi Medical School, Tochigi), Hideki Miyamoto (former Department of Community and Family Medicine, Jichi Medical School, Tochigi), Hidetaka Akiyoshi (Department of Pediatrics, Fukuoka University School of Medicine), Hiroshi Yanagawa (Saitama Prefectural University, Saitama), Hitoshi Matsuo (Gifu Prefectural Gifu Hospital, Gifu), Jun Hiraoka (Tako Central Hospital, Chiba), Kaname Tsutsumi (Kyushu International University, Fukuoka), Kazunori Kayaba (Saitama Prefectural University), Kazuomi Kario (Department of Cardiology, Jichi Medical School, Tochigi), Kazuyuki Shimada (Department of Cardiology, Jichi Medical School, Tochigi), Kenichiro Sakai (Akaike Town Hospital, Fukuoka), Kishio Turuda (Takasu National Health Insurance Clinic, Gifu), Machi Sawada (Agawa Osaki National Health Insurance Clinic, Kochi), Makoto Furuse (Department of Radiology, Jichi Medical School, Tochigi), Manabu Yoshimura (Kuze Clinic, Gifu), Masahiko Hosoe (Gero Hot-Spring Hospital, Gifu), Masahiro Igarashi, Masafumi Mizooka (Kamagari National Health Insurance Clinic, Hiroshima), Naoki Nago (Tsukude Health Insurance Clinic, Aichi), Nobuya Kodama (Sakugi Clinic, Hiroshima), Noriko Hayashida (Tako Central Hospital, Chiba), Rika Yamaoka (Awaji-Hokudan Public Clinic, Hyogo), Seishi Yamada (Wara National Health Insurance Hospital, Gifu), Shinichi Muramatsu (Department Neurology, Jichi Medical School, Tochigi), Shinya Hayasaka, Shizukiyo Ishikawa (Department of Community and Family Medicine, Jichi Medical School, Tochigi), Shuzo Takuma (Akaike Town Hospital, Fukuoka), Tadao Gotoh (Wara National Health Insurance Hospital, Gifu), Takafumi Natsume (Oyama Municipal Hospital, Tochigi), Takashi Yamada (Kuze Clinic, Gifu), Takeshi Miyamoto (former Okawa Komatsu National Health Insurance Clinic, Kochi), Tomohiro Deguchi (Akaike Town Hospital, Fukuoka), Tomohiro Saegusa (Sakuma National Health Insurance Hospital, Shizuoka), Yoshihiro Shibano (Saiseikai Iwaizumi Hospital, Iwate) Yoshihisa Ito (Department of Laboratory Medicine, Asahikawa Medical College, Hokkaido), and Yosikazu Nakamura (Department of Public Health, Jichi Medical School).